← Tsunami Warning in San Diego!! Nothing went right for the Lakers last night. Kobe wasn’t getting the calls he wanted…Bynum couldn’t buy a rebound in the first half, Mike Miller and Mike Bibby decided to actually start hitting 3’s, and a day after complaining about not getting the ball enough, Chris Bosh scored more points than both Lebron James and Dwyane Wade. I said it yesterday, I was afraid the Lakers would lose that game. Anytime you’re on a winning and facing a good team on a bad losing streak… they have more to prove than you do. Last night was case in point. 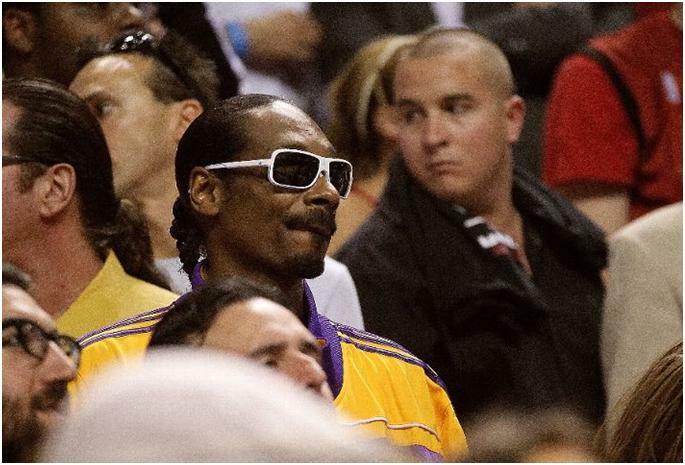 Snoop Dogg was in the house representing. Hate the Pat Riley works for the enemy now. 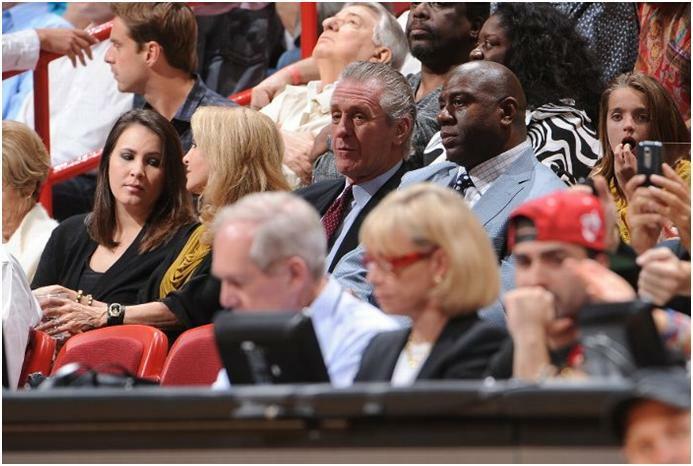 Can hardly blame Magic Johnson for hanging with his old coach though. Was I the only one afraid that Magic might just try to eat Pat for a snack? Despite the Magic/Riley friendship…things are not friendly between these two teams. I love the rivalry forming between them. Hopefully it carries for years to come. 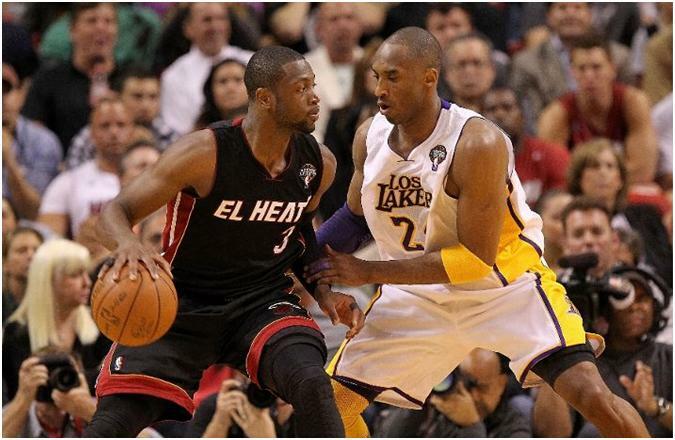 Kobe and Lebron were jawin’, so were Kobe and D. Wade. Bosh and Pau. Bynum and Bosh. It was great. Phil Jackson talking smack from the bench, and through the media. I love it. Lebron responded too, “You don’t get too caught up in Phil’s commentary,” James said. “Phil’s going to be Phil.” Phil? Like the groundhog, Phil? Shutup Lebron. As for last night… bad loss for the Lakers, they should’ve won. Grand scheme of things? No biggie. I hope the meet up in the Finals. Lakers will crush them. Despite the Lakers loss in this game and the Christmas day game….another thing I learned? Dwyane Wade is the best player on the Miami Heat, better than Lebron James. 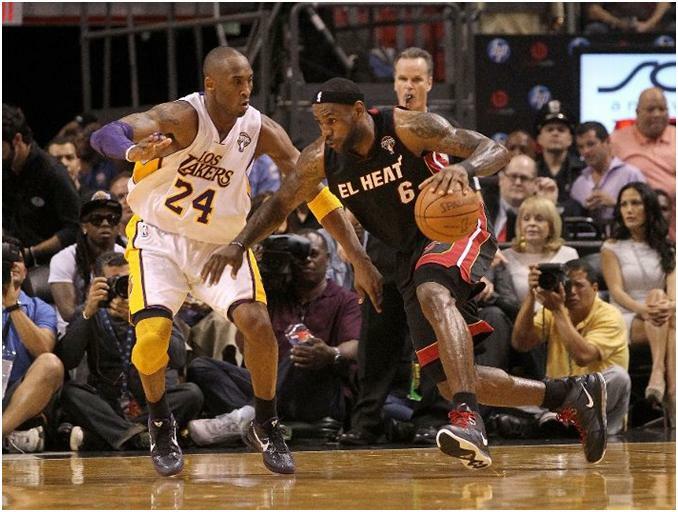 Kobe Bryant is better than them both. This entry was posted in Basketball, Music, NBA and tagged Chris Bosh, Dwyane Wade, Dwyane Wade is Better than Lebron James, Kobe Bryant, Lakers Heat Rivalry, Lamar Odum, Lebron James, Los Angeles Lakers, Miami Heat, Pau Gasol, Phil Jackson, Snoop Dogg. Bookmark the permalink.